Updated: 7th October 2010, this restaurant is closed according to Urbanspoon. That’s it … our summer vacation. Hope you all enjoyed following this series as much as I had blogging about it. I think when I look back over the years, we will remember this particular vacation like no other vacations we ever had — this time we had documented it. Looking back over the past month blogging about this vacation, it is amazing we managed to do everything we did. Some of them counts for one vacation alone to most but being able to do all these within two weeks were unbelievable to us. 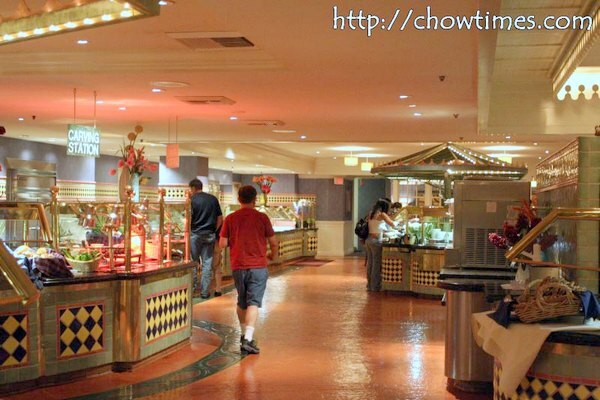 We started off in Las Vegas where we had some of the best buffet. We managed to visit the Hoover Dam and the Fremont Street Experience made a lasting impression on us. We then drove past Death Valley on our way to the Yosemite National Park. One word describe the entire trip … jaw-dropping! Next came our visit to the Bay Area during which the high-point was the day spent at the Great America theme park. Our boys enjoyed this the most. San Francisco was absolutely marvelous. We all love SF and did all the sights we wanted — Alcatraz, Fishermans Wharf. Chinatown and rode the Cable Car. Oh … the sourdough bread too! We then moved on to Reno and Lake Tahoe for the final leg of the trip. 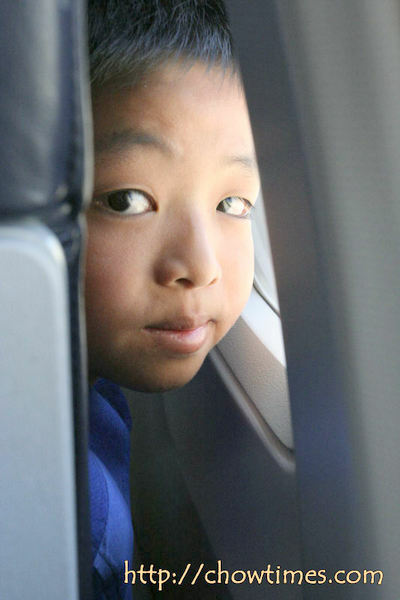 We landed in Bellingham, WA in late afternoon. As much as we enjoyed the trip, it was really good to be back home again. Before we headed home, we knew already what we wanted to have — Vietnamese noodles. Despite all the great food we had during the vacation, we simply miss good old Asian food. 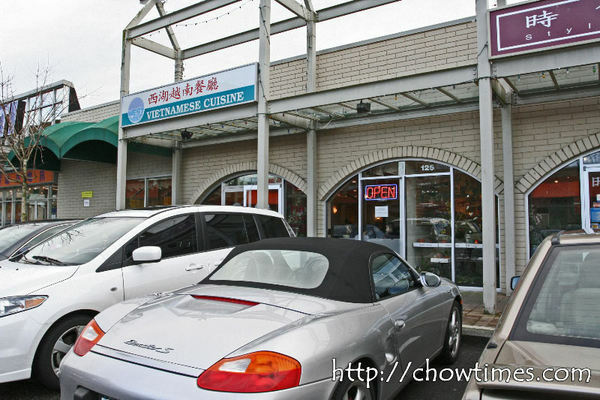 This restaurant is located in the Empire Square strip mall on No 3 Road in Richmond. It’s on the same strip mall as Hon’s. 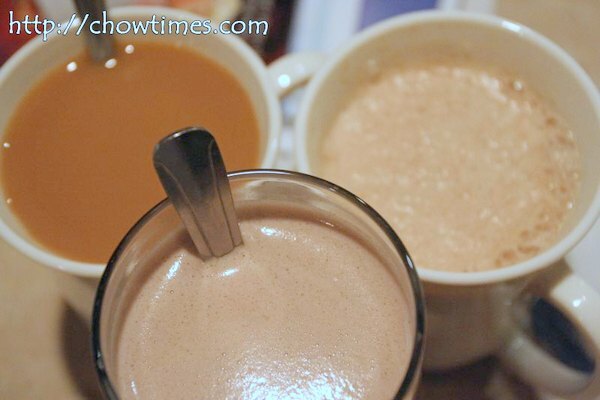 It’s strange why we had never blogged about the Westlake Vietnamese Cuisine restaurant before. We had been coming here for lunch at least once a month and is our boys’ favourite place. 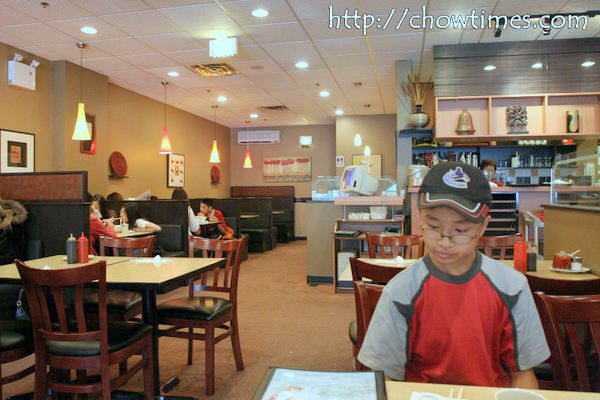 What we particularly like about this restaurant is the low prices and that they have a free drink with any set ordered. Their menu is really like the many HK-Style cafes around Richmond except that it is with a Vietnamese twist. 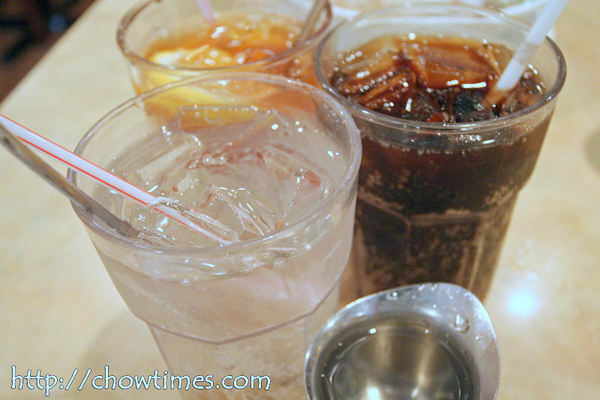 We tried the Salted Lemon Soda — it is really good. You can sweeten it with the included sugar syrup if you like. 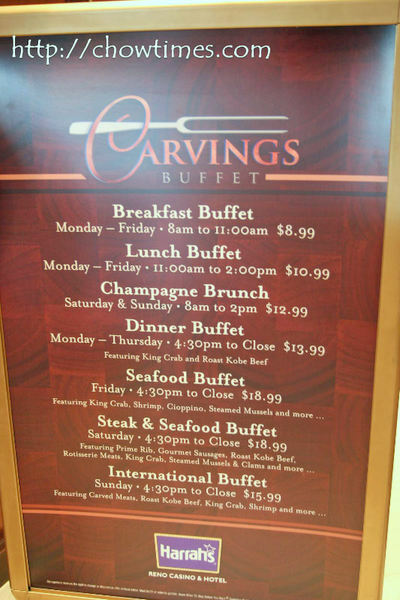 Believe it or now, this is the TENTH buffet we had in this vacation. One of the things that I was fixated with is to try Kobe beef which we did not come across in the buffets we had in Vegas. So, for this final buffet, we simply wanted to go to a place which had Kobe beef. We found one at the Harrah’s Cravings Buffet. What more … they have BOTH Kobe beef AND King Crab … and for only $13.99. 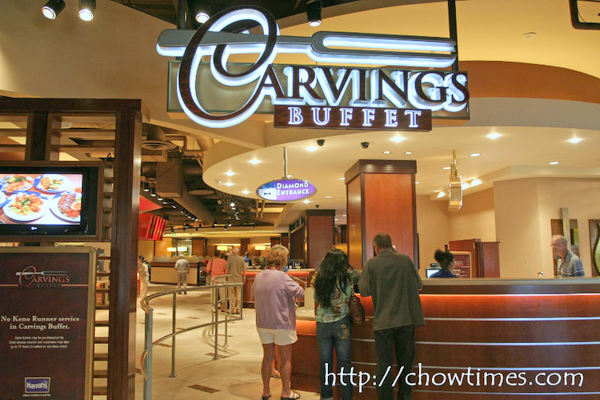 The Cravings Buffet is organized by cuisine. Lots and lots of variety to choose from. We love the service … very friendly and prompt. 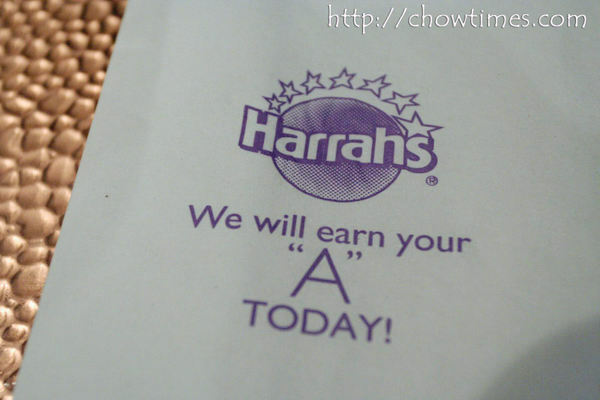 Even the napkin says “We will earn your A today”. I am impressed with that and the fact that they try so hard to be the best. We were glad to be here. Hmmmm … we were pretty disappointed with the Kobe beef. 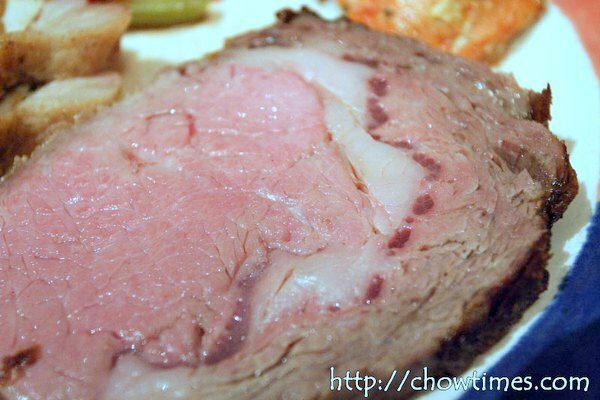 This is supposed to be the rolls royce of beef. I heard that the cattle are fed with beer!! (Is that true?). 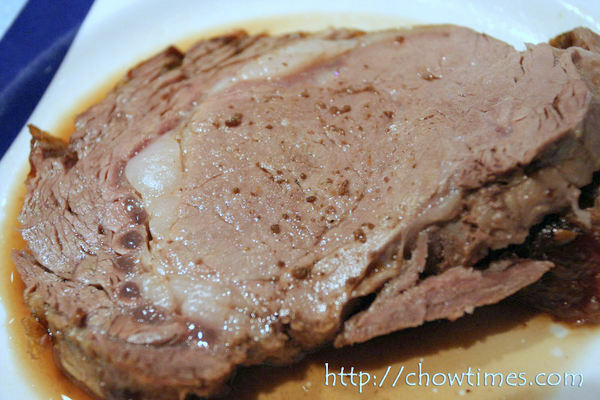 The meat was tough and not as flavorful as I had expected. We earlier had no plans to drive to Lake Tahoe … after all, I was intimidated by the 70 miles drive from Reno that I read somewhere. 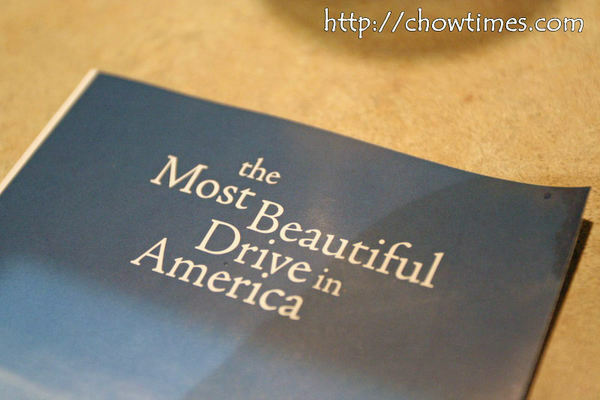 This brochure below changed everything … the drive between Reno and Lake Tahoe is touted as the Most Beautiful Drive in America. 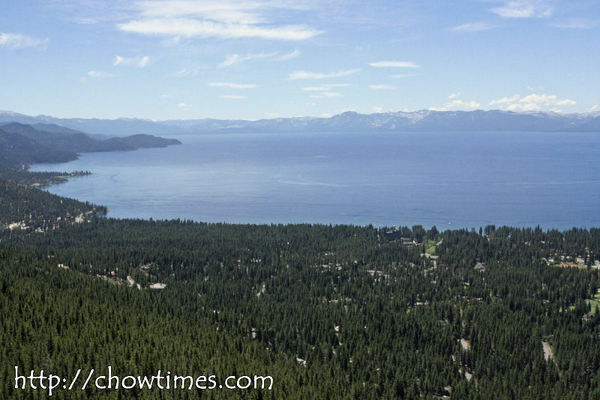 Mark Twain calls Tahoe “the fairest picture the while earth affords”. The view that greeted us was awesome. Not only is the blue lake looked beautiful but the fact that the lake is ringed by mountains gives us a great drive as we drive over the hills and down to the lake shore. 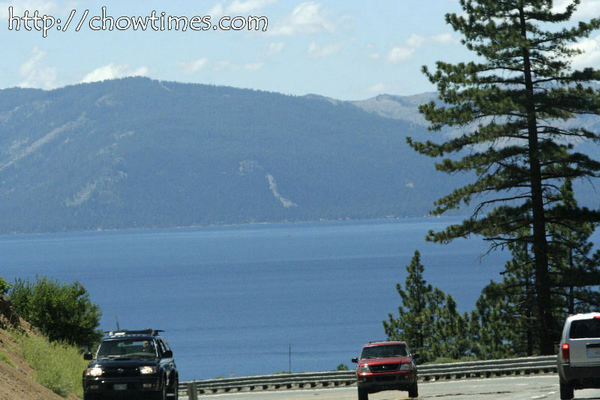 Lake Tahoe is a immensely large freshwater alpine lake. It is also one of the deepest lake in the world. There are so much water here that it is enough to cover the entire state of California to a depth of 14 inches. I guess we’re eating like there is no tomorrow. We had a good buffet the previous day at the Flavors Buffet and then the next morning, we decided to go for another one. 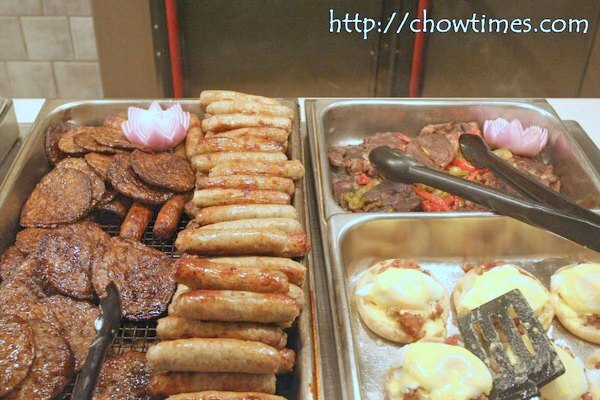 Just to be able to cope with the guilt of eating so much, we decided we try to look for the cheapest breakfast buffet. 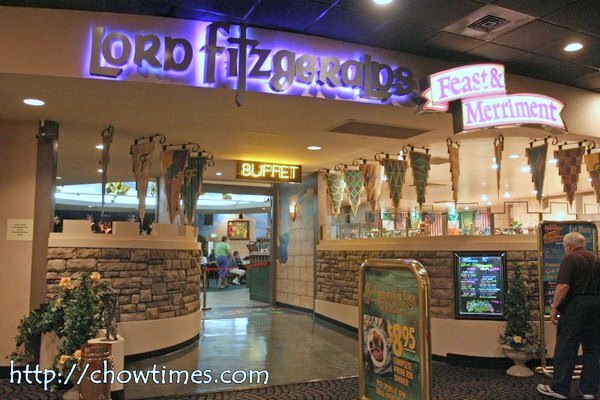 The cheapest we found was the Lord Fitzgeralds Feast and Merriment Buffet which is just a short walking distance from our hotel. Well, the place is cheap alright. In order to get to the buffet, we had to walk the gauntlet of slot machines and smokey interior. All that stale cigarette smoke does not help with building an appetite. The breakfast spread was quite respectable. We did not expect much since this place is cheap. They even have a “cook to order” station — nice. What we like particularly about this place is that they have espresso and cappucino, albeit it was from a machine. 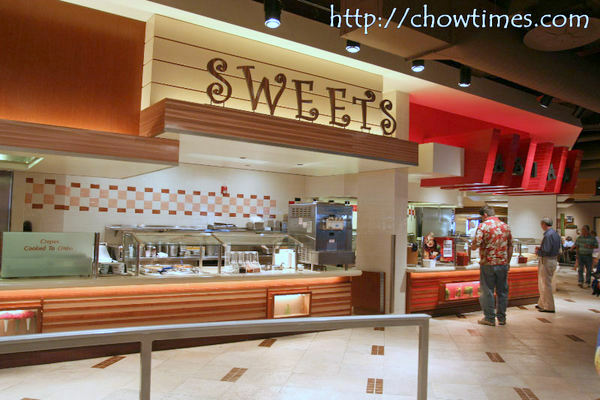 Now, now … why did the other buffet places we been to not have this? Just for this alone, I am giving Lord Fitzgerald a few notch up in my rating. There are the standard stuff you’ll find in breakfasts. Because of the way it was arranged and presented, they don’t particularly look appetizing. Nothing much we could do in Reno except to eat. Anyway, we had planned to max out every opportunity to pig out before we leave for home. It had been a couple of weeks since we left Vancouver and frankly, we are all beginning to feel homesick. 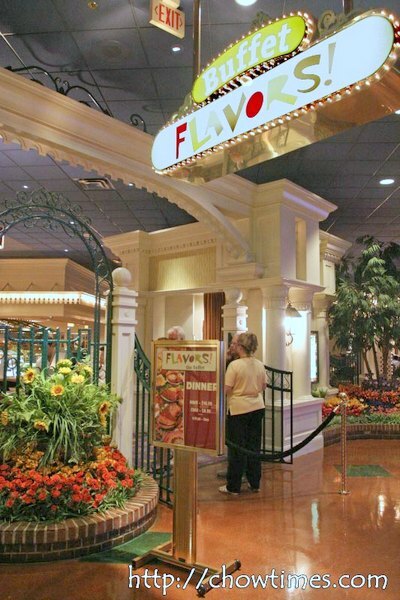 The dinner we had the first night in Reno was at the Flavors! 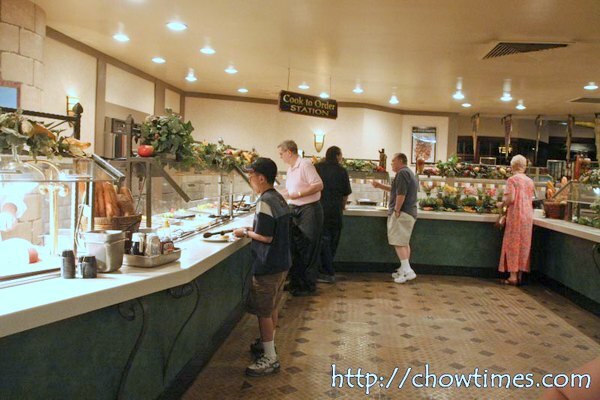 Buffet at the Silver Legacy casino. Here there are hardly any queue at all. 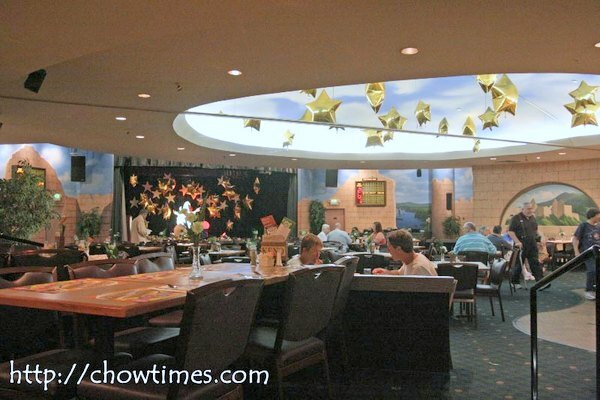 In Vegas, the wait times for tables could be up to 1-2 hours. This suits us perfectly fine … the selection is wide, the price is right and the place is very clean. This is the kind of setting we like … lots of choices and hardly anyone there. Well, I guess it’s because it’s not the weekend. I understand that Reno is very quiet during weekdays. Arkensen and I went first for the prime roast beef. They are simply some of the best we had ever tasted. Very juicy and succulent … and because there were hardly anyone around, the people at the carving station gave us the cut we wanted and as thick as we wanted. We went for this twice. 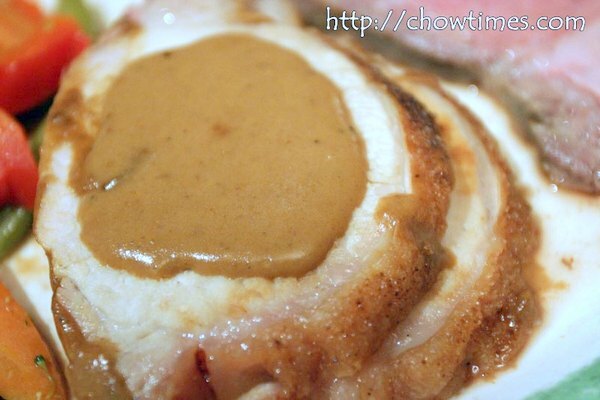 The pork loin was equally geat too. The medallion cut is some of the largest I ever had. Man, that must have been one heck of a pig there. 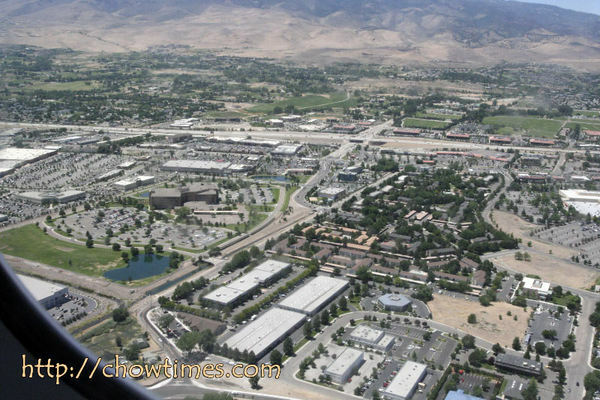 It is supposed to take about four hours driving direct from San Francisco to Reno. Since we made a 2 hr stop at the Jelly Belly Factory and then took a leisurely drive, the entire journey took double the time. Well, we were in no rush anyway. The plan today is just to get to Reno and then hit a buffet. We made a stop but just can’t recall where exactly (maybe Truckee) where we learned that this is the stretch that President Eisenhower had traveled on as a soldier that spurred him to champion the Interstate highway system as it is today. We can’t help but contrasting Reno with Las Vegas. 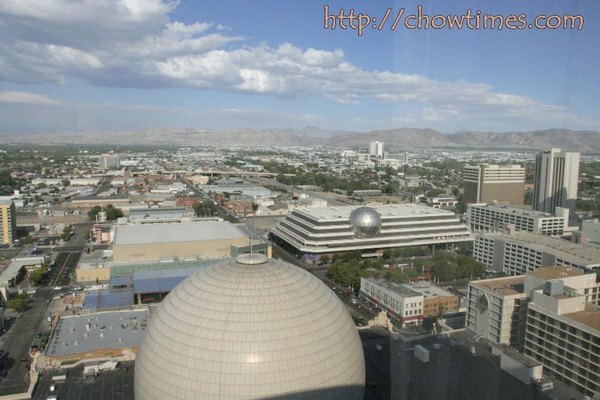 Really, Reno is a much more smaller city but the city’s economy is centered around casinos. Reno is definitely more walkable. One thing though about the casinos, the indoors seems to be way smookier than in Las Vegas. We stayed in a nice hotel. It is much much cheaper here than in Las Vegas for sure. 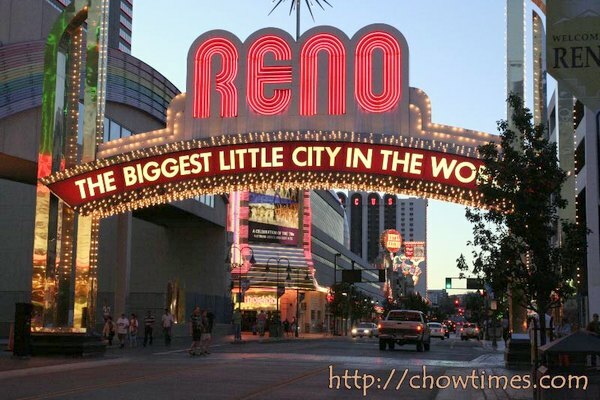 Reno is known as the Biggest Little City in the World. What does that title really mean? Anyway, we walked around the few blocks in the city centre. Really there are nothing much to see and do except for some shops and of course, casinos.